Inspired by mid-century design, the KOR Aluminum Slat Armless Bar Stool has an edgy design which features arched, angled legs and curved back. The furniture frames can be painted in a different finish from the aluminum seat and back to create a unique style. 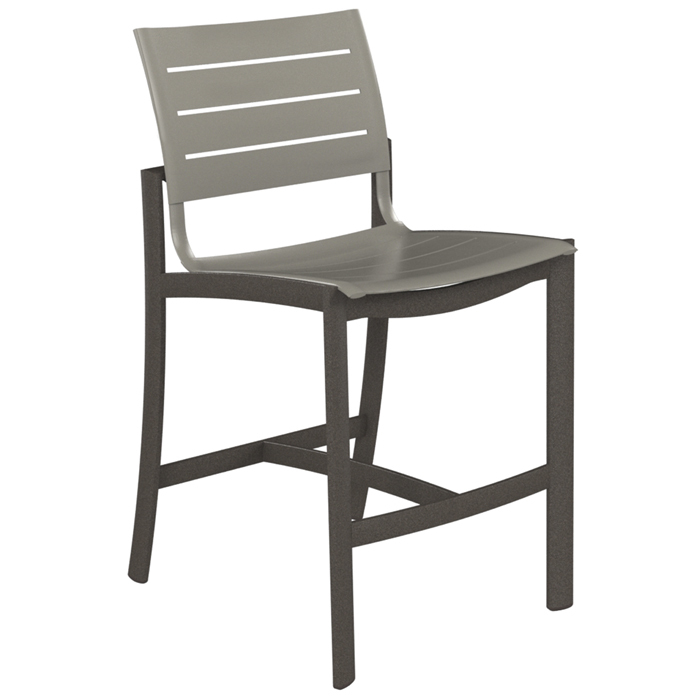 KOR Aluminum Slat Armless Bar Stool offers high quality and comfort that will look chic in any outdoor space.